Trusting God and believing that we are fearlessly and wonderfully made through times of awkward change, embarrassing moments, and a world full of constant comparison and harsh judgment is not easy as a young lady in our society today. Let’s take a stance of support for the up-and-coming generation of women. Our goal at Glow Conference is to call young ladies to a life of freedom, fullness and fruitfulness in Christ! 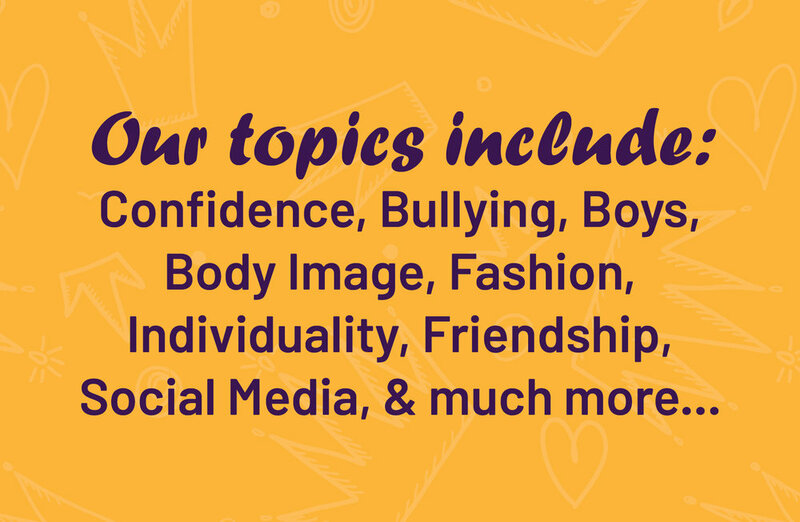 We aim to empower your girl with faith tools and practical exercises to overcome the everyday battles of "tween-hood". As our girls learn to stand firm in their character and identity in Christ, they’ll gain respect for themselves and their sisterhood of peers. We deeply desire that your girl leaves the conference GLOWING with new-found confidence and peace, as she continues her walk of faith. Who will be picking up the child/children? I hereby consent to let my child participate in the event Glow Conference 2018. It is understood that every precaution will be taken for the safety and well-being of my child, but in the event of accident or sickness, The Fellowship, its staff and its volunteers are hereby released from any liability. By submitting this form, I give consent to The Fellowship of Texas City of the child above.